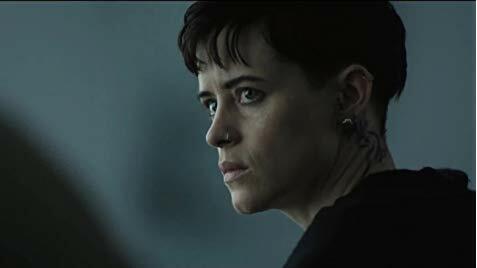 A continuation of the adventures of Stieg Larsson’s creation Lisbeth Salander, a despondent computer hacker, The Girl in the Spider’s Web sets forth a new lead actress in the role: British actress Claire Foy (Unsane) dons the leather jacket, crops her hair close and hops on a motorcycle as she jumps head-first into a world of violence and espionage. Here, altruistic cybercriminal Salander—played in the past by Noomi Rapace (Prometheus) and Rooney Mara (A Ghost Story)—is after a computer disc that has mass destruction possibilities. Also looking for the program is the scientist who created it (Stephen Merchant, Logan), an NSA security agent tracking the hacker (LaKeith Stanfield, Sorry to Bother You), and criminal forces with nefarious plans. 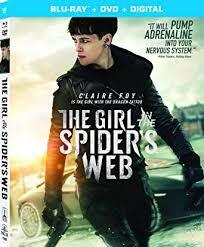 Directed and co-written by Fede Alvarez (the 2013 Evil Dead reboot), The Girl in the Spider’s Web is a slick and stylish production and, boasting some major action sequences, often reminds one of recent James Bond outings. Unfortunately, it most resembles a lesser 007 entry along the lines of Quantum of Solace and Spectre. So, despite some hair-raising chases, chaotic fighting and distasteful violence in the name of feminism, this effort remains relatively distant and generic throughout. Foy acquits herself well but unspectacularly as Lisbeth, whose horrific childhood sets the stage for her adult daredevil demeanor. Offering solid support are the always reliable Merchant and Stanfield, along with Severrir Gudnason (The Circle) as her journalist lover and Sylvia Hoeks (Blade Runner 2049) as her sister. The Girl in the Spider’s Web spun a less than a great $15 million at the box-office this past fall on a reported $45 million budget. The appearance of career-ascending Foy, a recent Emmy winner for TV’s The Crown, and the name recognition of Larsson’s “Millennium” series should make the title a winner despite tepid critical response.